Honeymoon, casual luxury, romantic hideaways available for you to consider. 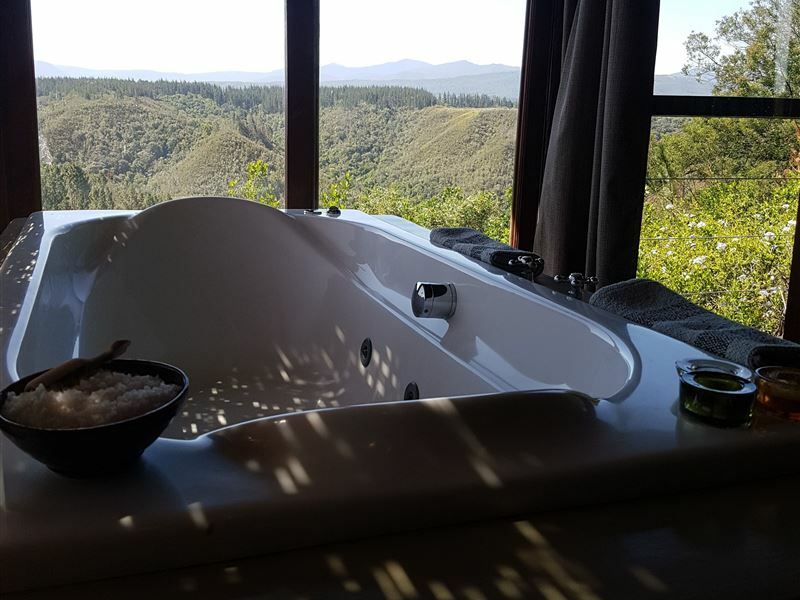 Built at treetop height, all have awesome amphitheater views of the deep indigenous forest, valleys and mountains surrounding Knysna. We supply invigorating bath salts and goodies and candles for you to use; bubble away and sip on some champagne or wine brought to you. There are also showers in some of the en-suite bathrooms. The lounges have wood-burning fireplaces, and wood is placed on the deck for purchase. During winter, we supply firewood and charcoal+firelighters to purchase. Some units have air-conditioners heating/cooling units in them, all have DStv and CD players are provided in each cottage, and the kitchens are fully equipped for self-catering, including microwaves, stoves+ ovens and fridge-freezers. Some units have private courtyards and lapas, where you can really enjoy the forest night calls. All have private decks with tables and chairs, to enjoy the awesome views. There is also a plunge pool to use in the muggy weather, with all-around seating and overlooking the magnificent views. The housekeepers service the cottages daily on your stay, where they will make beds, wash dishes, and clean Weber barbecues and fireplaces; towels are changed as water allows?. A winter special runs from May to June, July 15 to 30 July and throughout August. 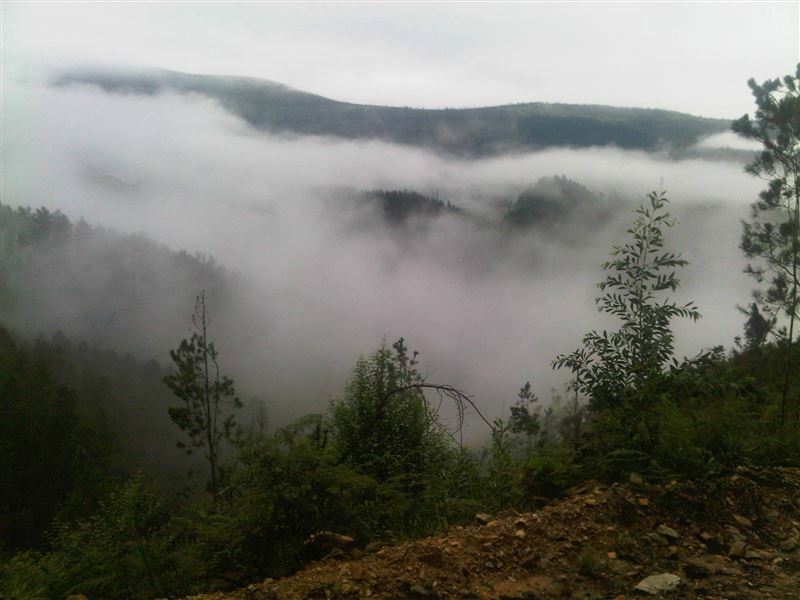 We are on the Cape Town side of Knysna, the lovely forested side. Forest Valley Cottages are situated 8 mins, by car from the lagoon, 12 km out of Knysna and 15 kilometres from the centre of town, close to beaches and forests, it is private and safe. En-route to the state forests, where famous writers based there books. Cold in winter, but perfect view. Having the best time of my life. It's quiet and peaceful. An amazing get-away from the busy city life. 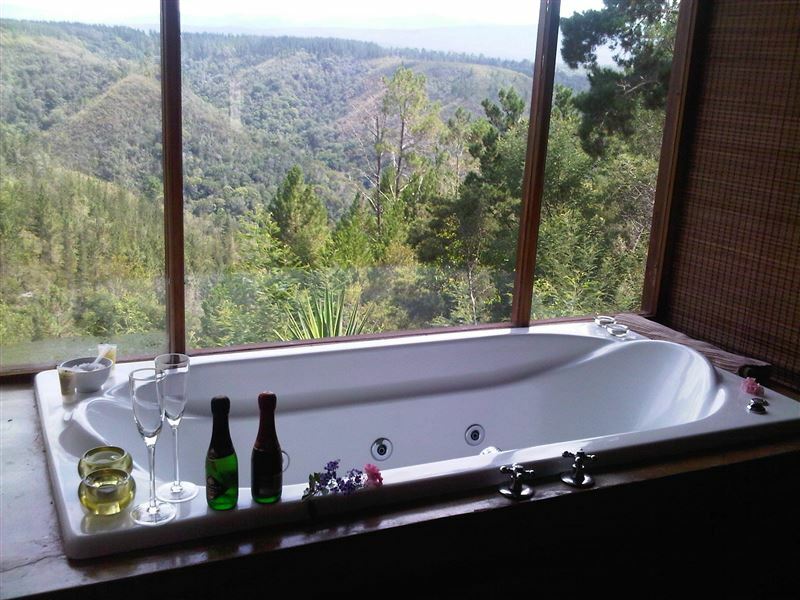 Perfect getaway, in the hart of the Knysna forest. 10min drive from Knysna and 5 min from the N 2. A must stay! Amazing place.. lovely for honemoon. Spent 2 nights at the Wild Iris honeymoon suite, and it was magical. Great service from Mark and everything was nicely prepared. It was clean and beautiful, despite monkeys coming to visit every so often- it was the perfect place to get engaged. I highly recommend this place. What a wonderful experience for a couple that needs that time Amway from the world! Thanks Mark for a remarkable time. Just what me and my wife needed! People is very NICE!! Thanks Mark for your great service! Ill see you soon! Parking was small but not bad. The view was awesome. looking down on the valley. Was an amazing stay. The fire place made a romantic atmosphere and the massive tube was so much fun. Our stay was absolutely fantastic!The views are breathtaking, the privacy are amazing and the jacuzzi and fireplace is great!I will definitely recommend Forest Valley for ANYONE who wants to get away from it all, who wants to wake up in the most peaceful environment and wants absolute privacy!Will DEFINITELY be back!! A mind blowing location for anyone who wants to get away and loves forests. An extremely secluded and romantic get away. Request a quote from Forest Valley Cottages at no obligation. Accommodation with 4x4 trails in mind. Please contact the Forest Valley Cottages to discuss your particular offroad requirements.